Once in a while, its ok to take a shortcut, right? Once in a while, its ok if you use a shortcut to bake a beautiful piece of cupcake. I am always hard on myself and insist I make everything from scratch. 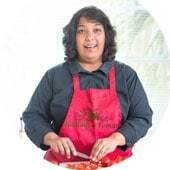 Food tastes better to me when its made from scratch. I can taste every ingredient in it. This time, I bought some ready made cake mix and added my own flair to it. I got lucky because I found a cake mix that had all vegan ingredients. To it, I added finely crushed pistachios and apple sauce. That’s all! I didn’t have to try and figure out what kind of flour or non-dairy product to use in the cupcake. Can you believe how easy it is to make these drool-worthy vegan cupcakes? The applesauce made the cupcakes very moist. There is a slight nuttiness to them because of the pistachios which made it a perfect taste match to the pumpkin spice frosting! You can also choose to add aquafaba which is the vegan answer to eggs. 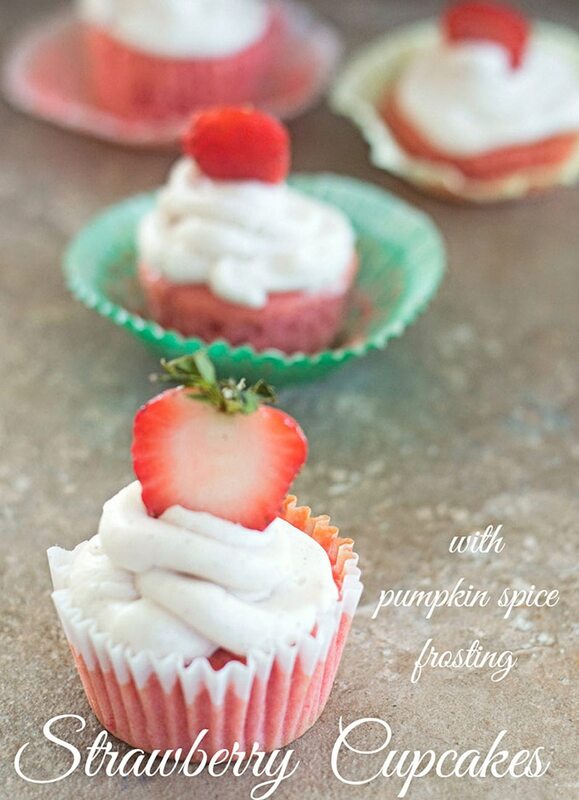 If you want to make these cupcakes for Valentine’s day, switch the frosting to a strawberry or vanilla frosting. You can even try it with a chocolate or buttercream frosting. My frosting skills not withstanding, I have to say that these strawberry cupcake tasted so gooooood. I used my homemade vegan buttercream frosting to decorate these cupcakes. 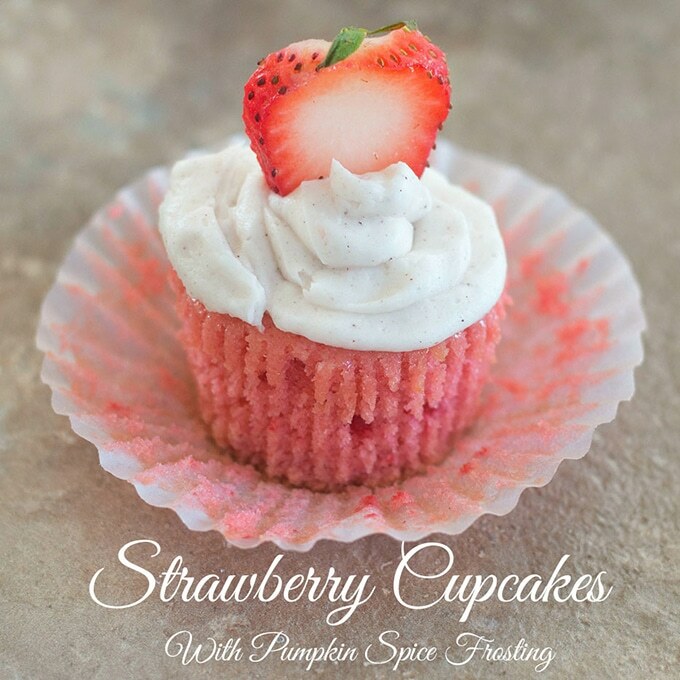 In some of the cupcakes, I added finely diced strawberries just to experiment. Oh my! Can I just tell you how amazing they tasted!! I couldn’t get over how delicious the artificial strawberry flavor played with the real strawberries! 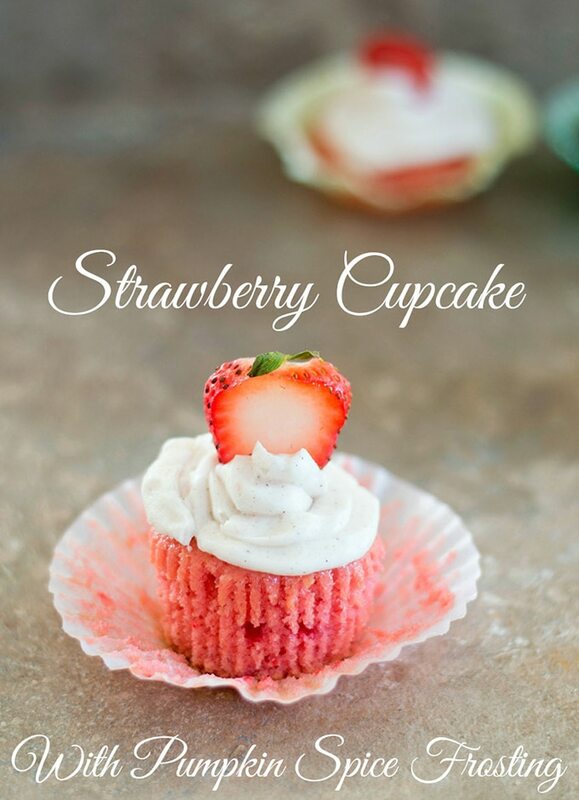 So, if you have fresh strawberries lying around, I suggest you try adding them to the cupcakes. You will not regret it. Strawberries have become very near and dear to my heart. Recently, I had the good fortune to visit the farms where Florida Strawberries are researched, perfected and grown. It is amazing to see that they can be picked right from the plant and sold directly to you and me! Trust me, there is nothing better than a Florida strawberry because they are sweet, juicy and oh so very delicious! 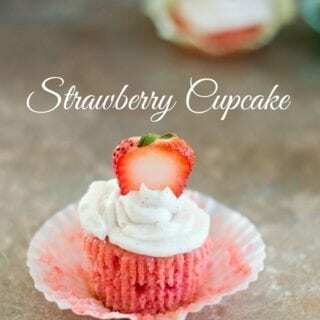 These vegan strawberry cupcakes were so delicious that I didn’t even wait to do the frosting on them. I ate them right out of the oven and even burnt my mouth as I devoured them. While the cupcakes are in the oven, prepare the frosting. For the cake mix, I used the whole bag of the mix but didn't use any of the frosting that came with it. Oh girl, I am 100% with you on the lack of baking skills and in particular, my decorating skills. I can’t use a pastry bag to save my life. Love what did with a mix. And more importantly, what a fantastic cause. I’d get in the kitchen to bake and brave the pastry bag to help find a cure for cancer. Thank you, Michelle. So happy to hear that. It is a great cause and I am glad to be helping it in my very small way. Can’t wait to see your cupcake recipe.